Both red and white wine can improve sugar control, depending on alcohol metabolism genetic profile. A glass of red wine every night may help people with Type-2 diabetes manage their cholesterol and cardiac health, suggests new research. People with diabetes are more susceptible to developing cardiovascular diseases than the general population and have lower levels of “good” cholesterol, the study said. “Initiating moderate wine intake, especially red wine, among well-controlled diabetics, as part of a healthy diet, is apparently safe, and modestly decreases cardio-metabolic risk,” the study said. Additionally, both red and white wine can improve sugar control, depending on alcohol metabolism genetic profile, the findings showed. While slow alcohol-metabolisers who drank wine achieved an improvement in blood sugar control, fast alcohol-metabolisers (with much faster blood alcohol clearance) did not benefit from the ethanol’s glucose control effect. The study led by researchers at Ben-Gurion University of the Negev (BGU) in Beersheba, Israel aimed to assess the effects and safety of initiating moderate alcohol consumption in diabetics, and sought to determine whether the type of wine matters. The two-year trial was performed on 224 controlled diabetes patients (aged 45 to 75), who generally abstained from alcohol. They gradually initiated moderate wine consumption, as part of a healthy diet platform, and not before driving. 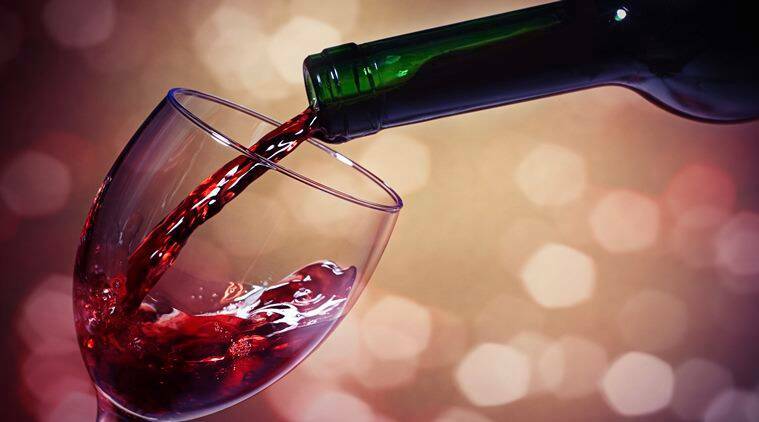 “Red wine was found to be superior in improving overall metabolic profiles, mainly by modestly improving the lipid profile, by increasing good (high-density lipoprotein or HDL) cholesterol, while decreasing the ratio between total cholesterol and HDL cholesterol,” the study said. “The differences found between red and white wine were opposed to our original hypothesis that the beneficial effects of wine are mediated predominantly by the alcohol,” principal investigator Iris Shai said. “Approximately 150 ml of the dry red or white tested wines contained approximately 17 g ethanol and approximately 120 kilocalorie, but the red wine had seven-fold higher levels of total phenols and four to 13-fold higher levels of the specific resveratrol group compounds than the white wine,” Shai pointed out, underlining the effects of non-alcoholic constituents of red wines. The study was published in the journal Annals of Internal Medicine. Публикувано в News на 15/10/2015 от admin.